Designed to provide extra stability while riding a bike or running to catch a train. Adjustable length. Clip closure for super quick release. Easily removed from bag when not in use. 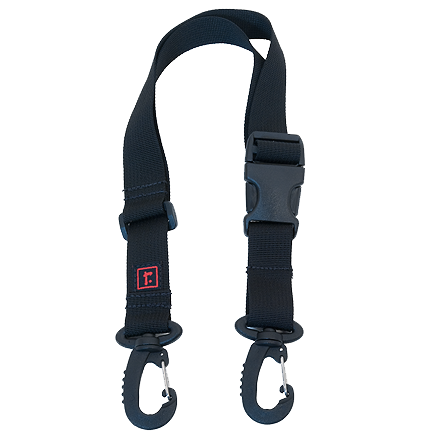 Works with the old-style Commuter strap which has a pad and d-rings under the quick-adjust cam buckle (Commuter 1.0, 2.0 and 2.1). This strap definitely makes my Rickshaw bag more comfortable to carry for long distances and while biking. 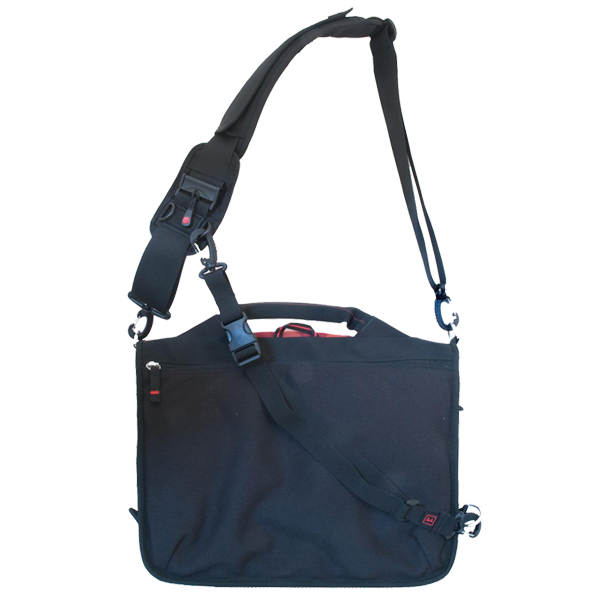 It's easy to use and stashes in the side velcro pouch when not in use. However, I'm not totally convinced of the quality of the clips that attach the strap to the bag. Twice in the last month, the clip somehow fell off the bag. It looked like the metal part got bent out the plastic hook. I snapped it back in, but it makes me concerned about the longevity of all the hooks on the bag.